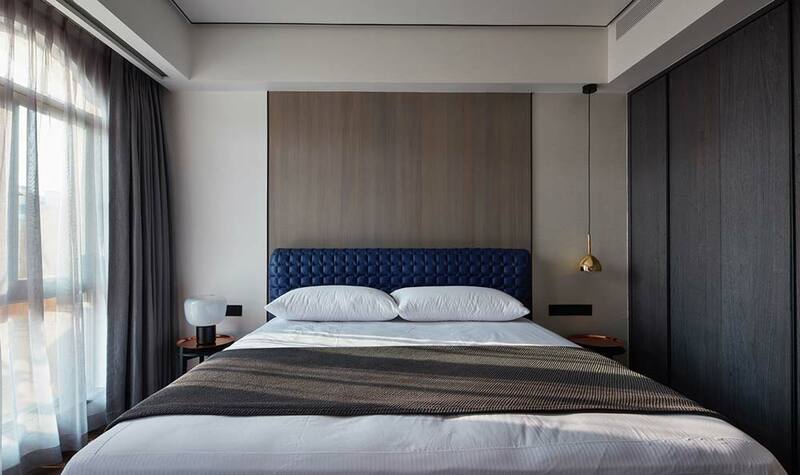 The pristine nature of modern apartment design is fueled by clean lines, rich textures, solid building materials and deep tones throughout. 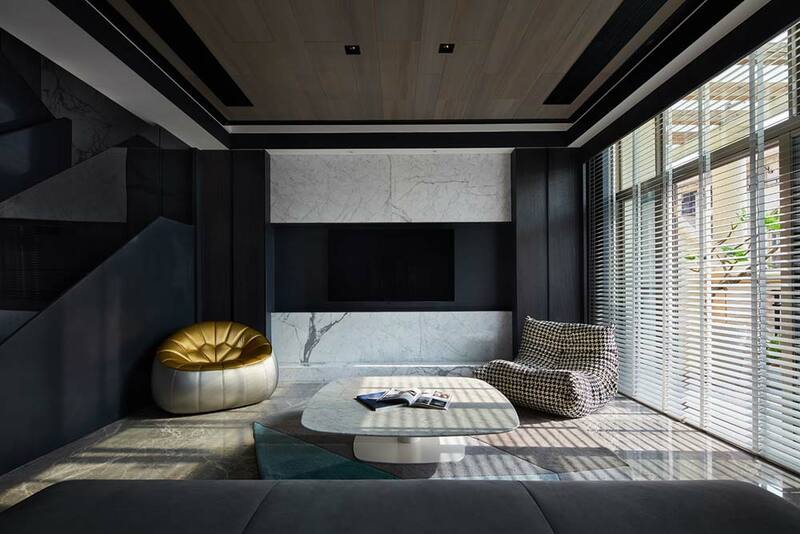 With much of the home a muted array of grays, whites and blacks, this space transitions smoothly from room to room without any stark contrast or color-based dividers. 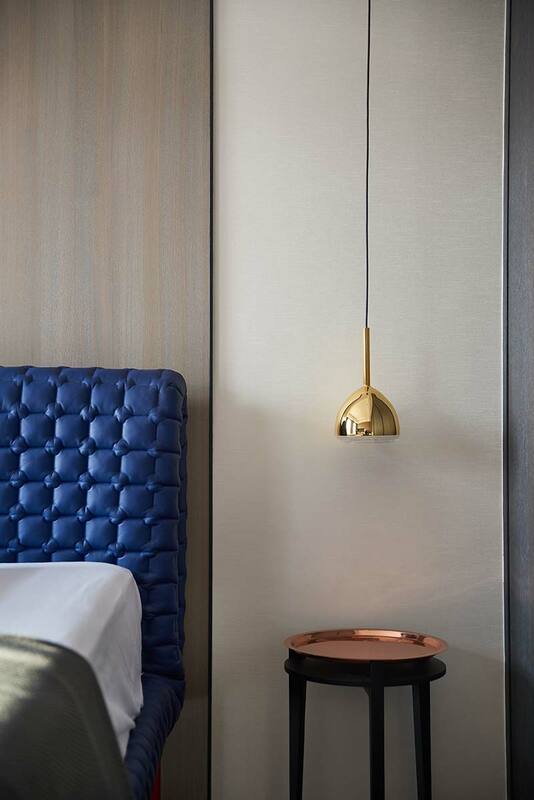 Whether taking in the bold, built-in shelving units found from floor to ceiling in both the office and dining room, admiring the simplistic rose gold light fixture over the dense Carrara white marble table, or enjoying the barely-there bedroom decor – this apartment oozes class from corner to corner. 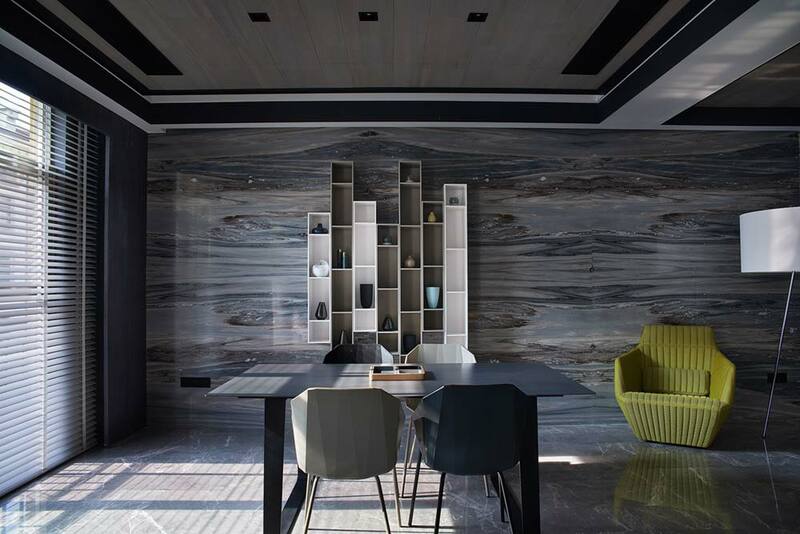 Marble is used in much of the space, including a backsplash wall in the formal dining and the living room, as well as amidst the tile flooring throughout the home. 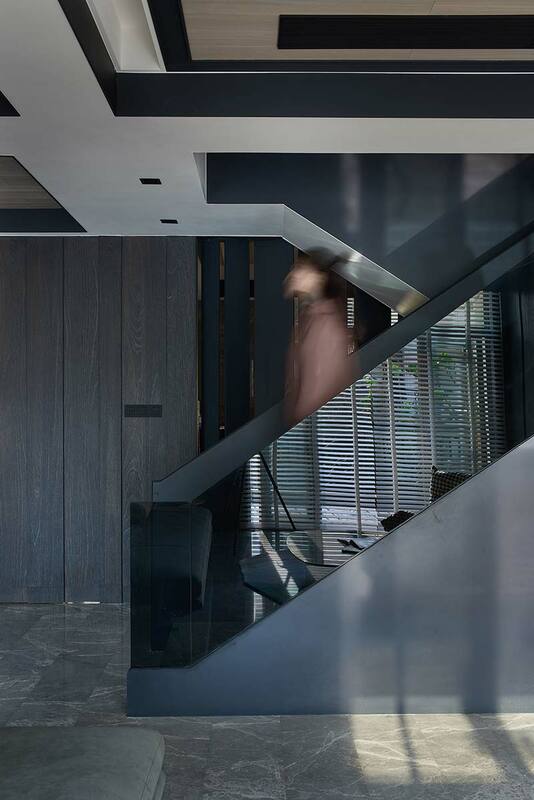 A glass-rail staircase also adds to the depth of this space, creating a grandiose focal point in the apartment, and leading to the upper floor fitted with the aforementioned bedrooms. 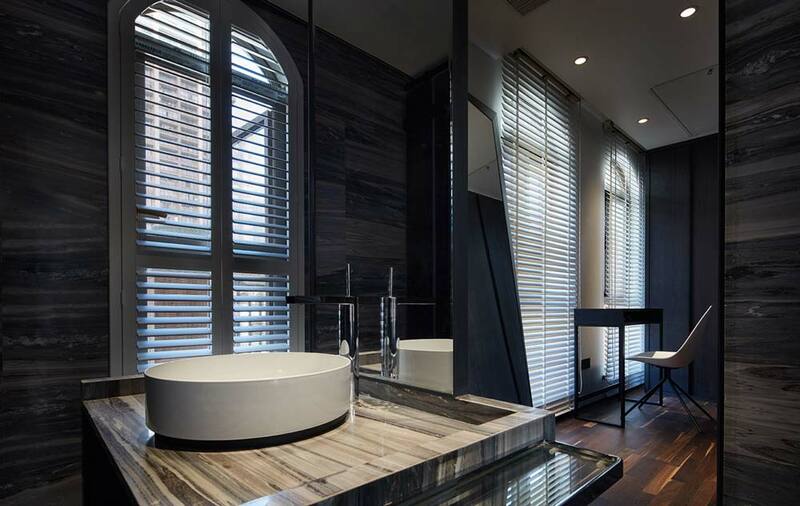 The bathroom is also a sight to behold, defined by high-end finishes, a mirrored ambiance and a graceful sink atop a granite basin. 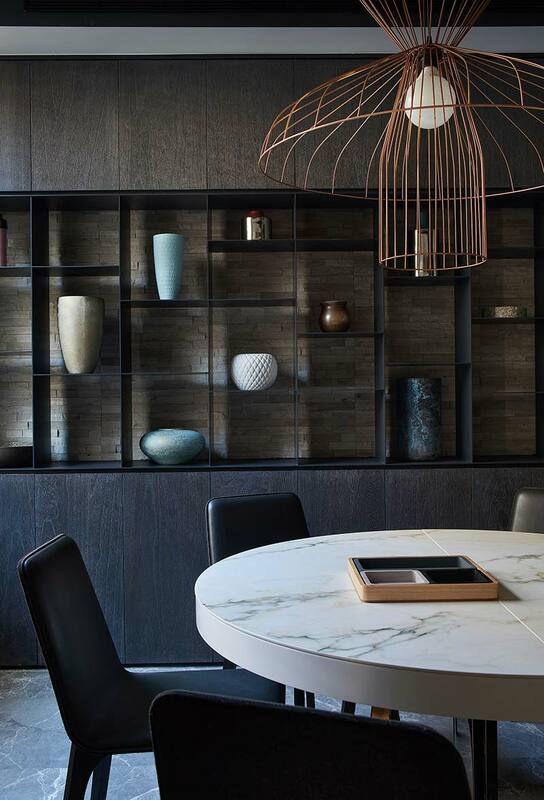 I literally cannot add enough adjectives to describe the beauty of this apartment, but the pictures speak a thousand words unto themselves. 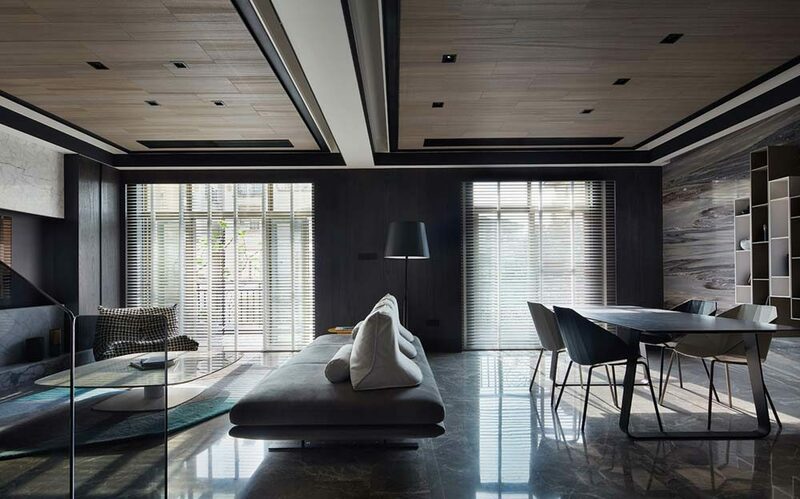 Such an amazing way to design your apartments in such a elegant way. All just love all the ideas. Really worth to try out.